Dan Tratensek, Publisher of Hardware Retailing magazine, sits down with industry veterans to get the latest scoop on the industry and their business. Welcome to the inaugural episode of “Taking Care of Business” with Dan Tratensek! In this episode, Dan speaks with Jim Robisch, a senior partner at the The Farnsworth Group. 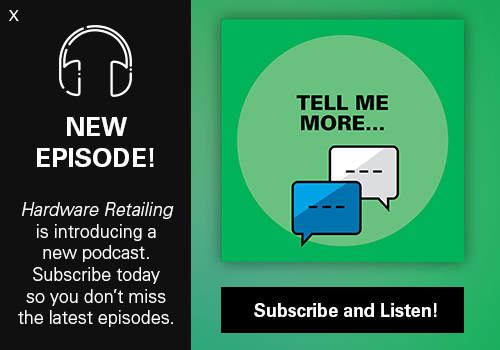 They discuss common growth opportunities in a retail business, how e-commerce affects consumer engagement, upcoming projects at The Farnsworth Group and much more! Take a listen and subscribe today. Dan Tratensek introduces his brand new podcast, Taking Care of Business. Officially launching on April 8, 2019, Dan’s first guest is Jim Robisch from The Farnsworth Group. Listen to this introduction for a teaser of the first episode!